“Cal State Fullerton Email Policy” is a bill that was never meant to be. Its first public appearance, in a Sept. 5, 2002 Cal State Fullerton Academic Senate document, simply informs the senators that an email policy is being drafted. “The proposed e-mail (sic) policy is a collective bargaining issue and is yet to be resolved,” then Academic Senate Chair Lee Gilbert reported on Sept. 19, 2002. Little did Gilbert know that the bill’s problems would not be resolved for another 10 years. After those September mentions, it went dark for a year before popping up again. Despite all the odds a bill ordinarily faces in the voting process, it was unanimously approved by the Academic Senate, CSUF’s legislative body comprised of faculty and professors, on May 29, 2003. By the time it was approved, it had been in the drafting stages for 38 months, from a time when high-speed Internet was barely an infant. It was sent to CSUF President Milton Gordon on June 24, 2003. But there it waited. It waited 30 academic days to be signed — the preferred waiting period — but nothing. 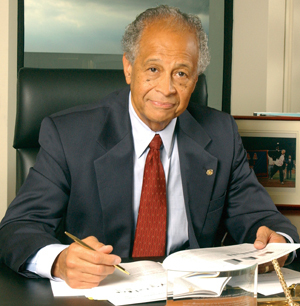 CSUF President Milton Gordon, who was highly-regarded by the campus community (Photo by CSUF). Perhaps Gordon found the bill too obtuse: It would have allowed the university to monitor student email data. “Account holders should not assume or expect that any use of an account is private or confidential,” the policy sitting on Gordon’s desk stated. It stayed dead in this awaiting-signature limbo through the 2004 election, through a couple wars, and through the 2008 election. It surfaced again in 2011, in an Academic Senate document that listed it as one of a dozen other bills awaiting signature of the university president. President Gordon, who had been CSUF president for 20 years, announced his retirement in September 2011, and in January 2012 he was replaced by Interim President Willie Hagan. The bill was still there; perhaps the new guy will like it more? Hagan picked up the bill — a call to life! 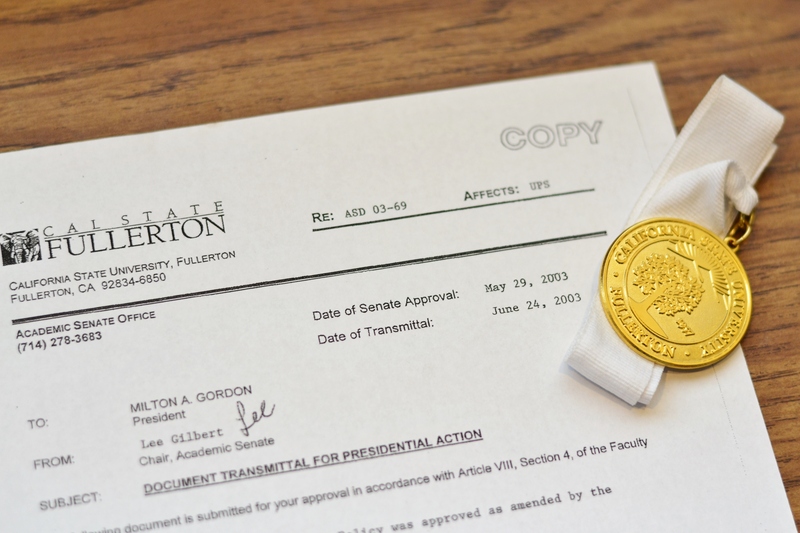 But on May 25, 2012, he returned it to the Academic Senate — unsigned, just like his predecessor. By this time, the bill had been in limbo for 9 years. What will happen? It has seen so many other bills come — the campus-wide smoking ban, the academic dishonesty policy … even its techy cousin policy, the World Wide Web policy — shedding their “ASD” (Academic Senate Document) designation for a classier “UPS” (University Policy Statement). But not the the email policy, still technically called “ASD 03-69” after all these years. It turns out, it didn’t have much longer to wait. Two months after Hagan returned the bill unsigned, the email policy was again mentioned in the annals of Academic Senate meeting minutes. Okay, well what did he approve? The smoking ban, the faculty office hours policy … boring, where’s the email policy one? Well, what does ‘remanded’ mean? Remand (verb): To send back to a lower court. With this, Hagan sent the email policy back to the Academic Senate to either be rewritten or discarded. And so, the email policy, waiting for so long, was now dead — but freed from its desk prison, O so free! It’s been a year, but the email policy has not been mentioned in any Academic Senate proceedings since those August 2012 minutes. With the remanding of the email policy, CSUF to this day does not have a sanctioned email policy. “Currently, neither the CSU or the campus actively monitors email accounts that I am aware of,” said Kerry Boyer, CSUF information security officer, whose office would have implemented the policy in its passing. It remains to be seen whether the Academic Senate will resurrect the old bill, but who knows. A bill lives and dies many times, and maybe the two really aren’t all that different. The bill can be found online here: Email policy draft.